We caught up with Laetitia Van Hoecke, of Birdie, about their plan to revolutionise the way we care at home. 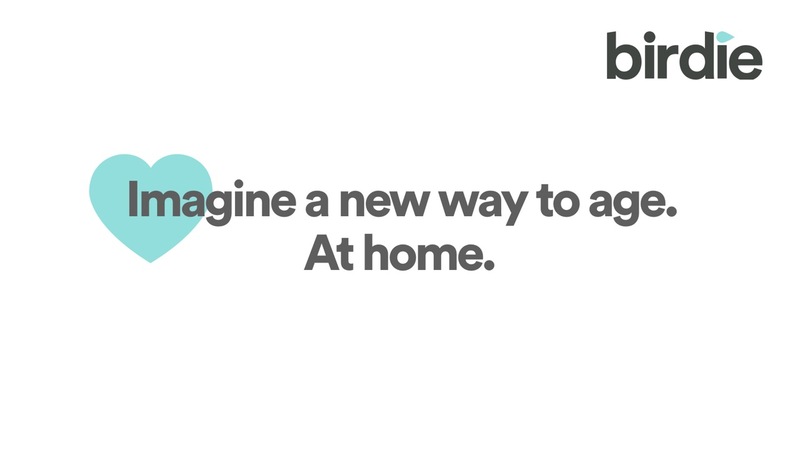 Birdie is a smart care companion, offering not only an alternative to care homes but keeping our older, invaluably precious, generation healthy and independent at home, while giving families reassurance, confidence and support. 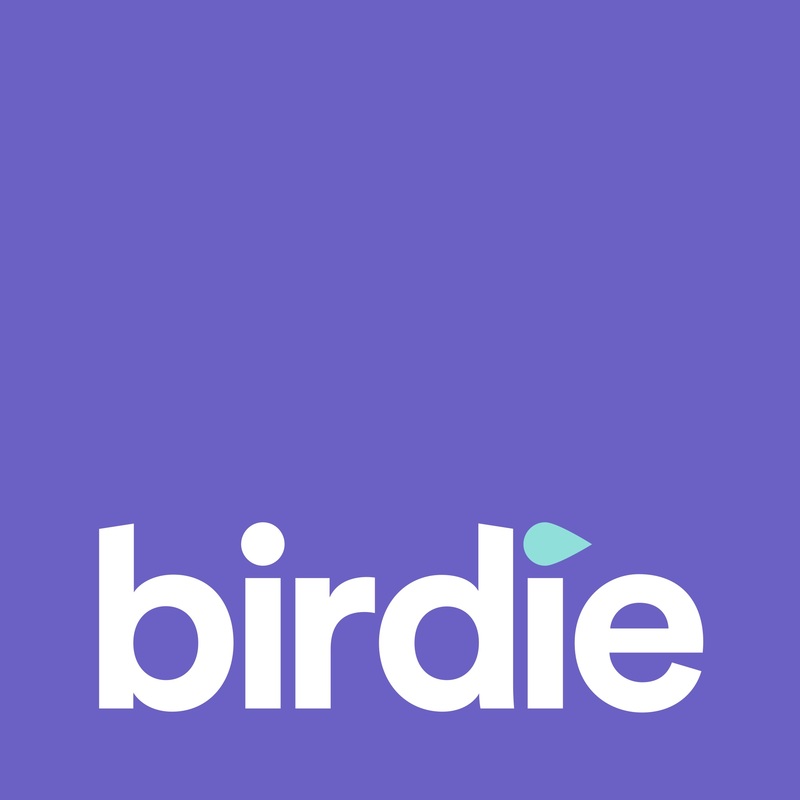 Birdie describe what they’re doing as supporting care agencies to enhance the way they deliver care while giving families reassurance, confidence and support – helping to give ‘peace of mind’ to everyone involved in the ‘care circle’ for older adults. So, for example, children and relatives can follow the health and well being of the person concerned, in order that any serious issues are flagged up in real time – enabling quicker responses to anything that appears untoward. When carers make home visits, they can update an easy to use app on their phone which contains ongoing information in a digital format, rather than the ‘old school’ method of putting together a written report. This not only saves time, it also allows all the relevant details to be collated in one place, so any changes can be detected more quickly. Which means families can coordinate, interact, and follow their elderly parents health and wellbeing – identifying and being notified in real-time of any issues such as a fall or absence – and getting the right support to resolve those issues at the right time. 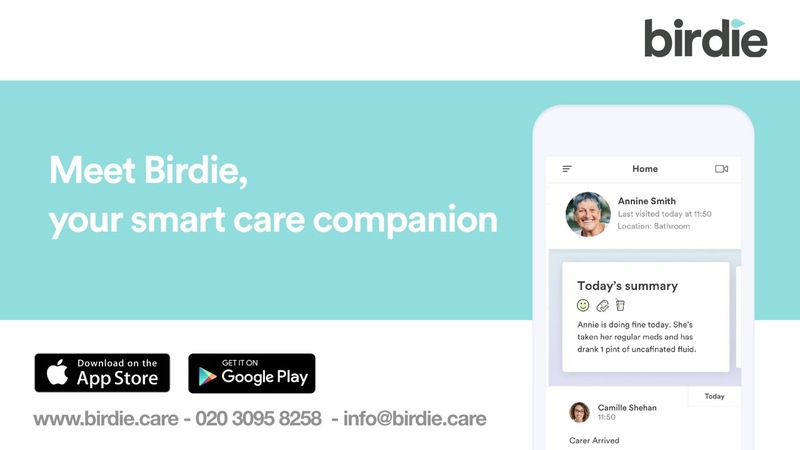 Birdie has built the most advanced algorithms and machine learning technology based on the carers’ information and connected devices around the home to draw up reports on personal care, infection, risks or a decline in health and flag it to the care circle. Plus there are motion sensors and other connected devices available within the home for when no one else is there – again helping to highlight anything unusual. A link with a telecare service provider can offer even more peace of mind, as well as Birdie’s own care managers being available around the clock to assist with any issues. Birdie strongly believes that the future is at home and their whole ethos is based on people being able to age in their own home for as long as possible. So everything they work on is designed to ensure the older person’s home is a safe place where they can remain healthy and happy. The origins of the Birdie story lie with the CEO – Max Parmentier – and his recollections of visiting his grandad in a care home as a child. Max grew to hate these visits as he would always come away with the idea that his grandad felt lonely and unhappy in the care home. So when, some years later, he was discussing possible social business ventures with tech and healthcare professionals, it became clear that developing a system that could help out the aging generation and their families would really fit with his desire to make a difference. When it comes to dementia, there is a specific package available that tracks trends in cognitive health as well as physical well being. Carers can, for example, report on things like a heightened level of confusion. While the motion sensors can detect if someone has started wandering outside their usual pattern of behaviour. As you’d expect, there’s also an alert button and a smart watch that can be used to assist in the care of people with Alzheimer’s and dementia. Birdie believe that technology is supposed to improve the human experience, not replace it. So they are helping to build a tighter, more sustainable circle of care by assisting care professionals with the technology to access reports, collect data and operate more efficiently. Birdie provide ongoing support for the agencies to ensure they spend less time on admin and more time caring for the good of the families. 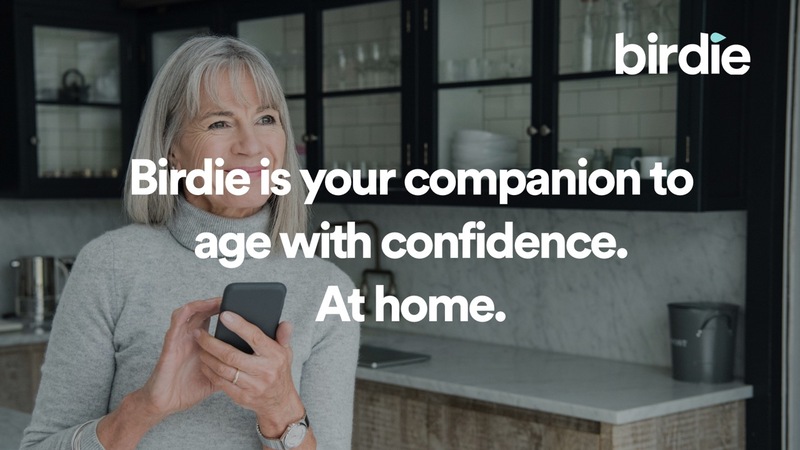 As a long term vision, Birdie are trying to ‘change the way we age’ and empower people to be more in control of their own health, helping to slow down the effects of aging and possible decline. To that end, coaching people with bespoke content to help their bodies and minds keep fitter is an integral part of how they see their input evolving in the future. Max Parmentier will be giving a talk on the future of care and how technology can help to enhance the excellent levels of service that are being given in the field. Providing care agencies and caregivers with the tools to be able to cut down on admin and enhance the quality of the care is a key element of Birdie’s desire to ‘support the human experience, not replace it’. As well as this, you’ll be able to meet Max, Laetitia and other members of the team on their stand, where you’ll be able to see demonstrations of the Birdie system in action and share your story of caring for an older adult – with the option of entering a draw to win a bottle of champagne for the best story, each day of the show. Any advance in technology to assist in the current and looming crisis in care of the elderly especially those with dementia is to be welcomed. I looked after my mother for three years at home until she had to be moved to a care home. My colleague Martin Prince in the Alzheimer 2014 report highlighted the basic deficiencies in the present UK system. The basic problem is undertrained staff in all statutory services combined with arrogant and intransigent attitudes. It is not a question of fixing a system that is broken but completely changing the culture of responsibility. The net effect of care of my mother resulted in my having a heart attack and quad bypass surgery, almost destroying my career and exacerbating family tensions. So called carers were all untrained and on minimum wage with no contracts. Feedback from these carers was and continues to be widely ignored with the threat of work reduction. There was no discernable business model in operation and at one time I was told that my mother had 2hrs to live although she is still alive today. I point these deficiencies out only to warn that the political realities of the care industry should not be underestimated in looking for improvements. I worked with Arthur Kleinman at Harvard and World Mental Health which was ground-breaking in addressing the epidemiology of mental health disorders and I can recall talking some 20 yrs ago about the enormous challenge that age related disorders posed although no one was planning or doing anything. I hope that Max Parmentiers welcome interest in new technology to assist the population who are underserved and badly served will also address the political realities that also shape delivery of care. Richard Hornsby Previously co director of the Centre for public understanding of mental health and Fellow of Kings College Institute of Psychiatry. Founder and chief executive The Mond Trust. I would welcome any involvement or discussion. Having lived through it..just...and having been involved in medical care and technology both in the US and UK.